The best way to prepare for this visit is to consider what you want to know, what you want to look for and what you should expect. Please be prepared that your child may fuss during parts or all of the dental visit. However, parents may be surprised at how accepting infants can be when the dentist examines them. They may enjoy the attention and novelty of the visit. If possible, ask another adult to come with you. It's best if this is someone who helps to care for your child. You want to be free to talk comfortably with the dentist or hygienist and to focus attention on your child. For this reason, it is best not to bring other children along at this first visit. Bring an extra diaper and snack for your child. Also bring a favorite toy, blanket or other familiar object. This will help your child to know that the dental office is a comfortable and safe place. To save time and make the first visit easier, Dentistry for Life has all the forms you will need to fill out available online to download and bring with you. The forms may offer the chance to list questions or concerns that you want to discuss at the visit. 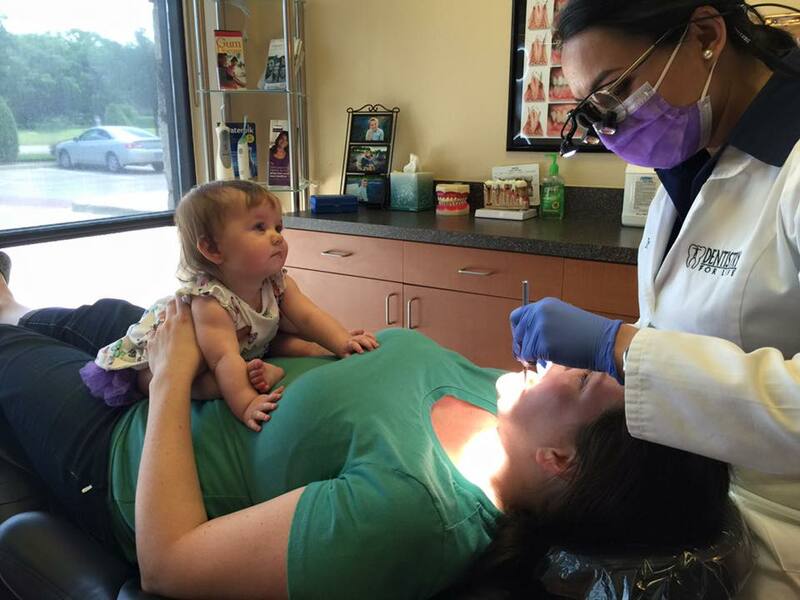 The first dental visit is similar to a well-baby check at the physician's office. Dr. Dave’ or our hygienist may also clean your child's teeth. This is likely to occur if your child's teeth have a stain that commonly appears in infants. The dentist or hygienist also may apply fluoride, particularly if your child has a higher than average risk of developing cavities. These tasks will all be based on how comfortable your child is at the visit. You should have all of your questions answered. You also should know what you and the dentist can do together to make sure your child has excellent oral health.